The Philly Food Feed will be on a super-short hiatus due to Ben getting his wisdom teeth pulled at the end of last week. Don't fret though, the Farmers' Market Marathon is still in full swing with Ben visiting the South and Passyunk Market last Tuesday. 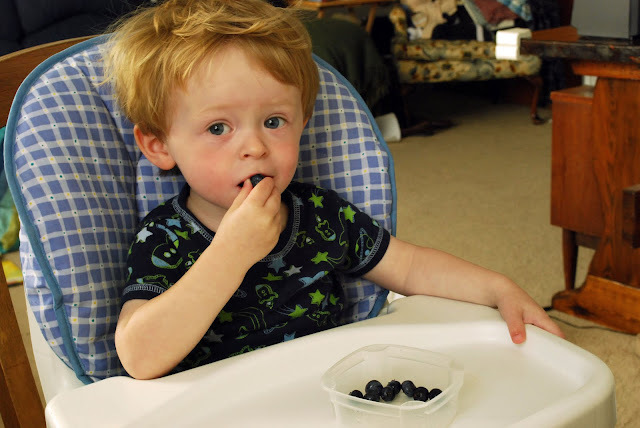 To satisfy what we know is your insatiable demand for pictures of us enjoying local and delicious produce, here is Ethan enjoying some blueberries from the Tuesday trip.